2014 WAS A TOP YEAR. The sun beat down on Somerset orchards for 1618 hours in 2014. And as every cider-maker knows, good sunshine makes good apple juice sugars and good apples make good cider. 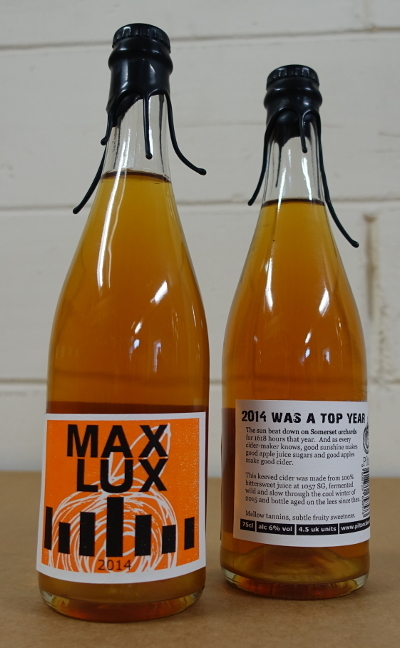 A keeved cider made from 100% bittersweet at 1057SG, fermented wild and slow into 2015 and bottle aged on the lees since then. Mellow tannins, subtle fruity sweetness.